﻿ How to Use Surveys on Social Media » Red Mango Marketing! Wondering what trends your customers are following right now? Trying to point your products or services in a new direction and want an idea of how your customers will react? You can find out right now simply by asking, through a survey on your social media page. 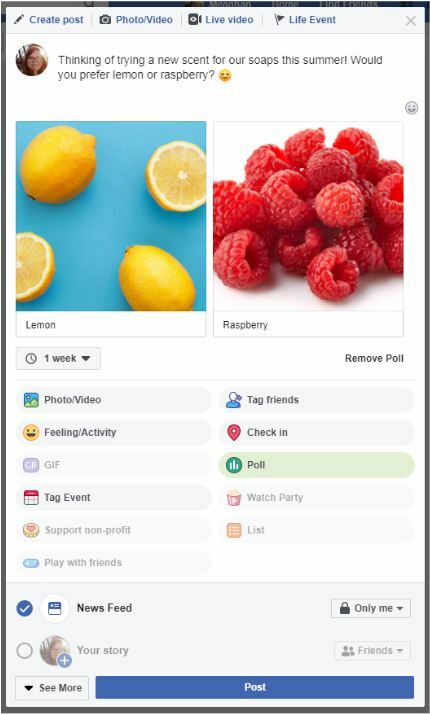 You can run surveys on Facebook, Twitter, Instagram, and more. While these do return results on each specific platform, you can also aggregate all of your results in one place by using a tool like Google Forms. You can also share your survey from one social platform to another, as well as send out your survey via email to even further your reach and results. Continue reading to learn how surveys and polling customers can help you create stronger marketing messages for your audience. 69% of adults in the United States are social media users. That means it’s easier than ever to reach and engage with your audience. Social media is also the most minimally disruptive way for customers to take a survey, and this option helps keep the experience short and sweet. Reports show 52% of people will not spend more than three minutes on a survey, and 80% of people have abandoned a survey halfway through because it was too long. Customer feedback is liquid gold for businesses, and it’d be a shame to waste it. Your customers have gone out of their way to connect with you on social media, and helping them in return have an impact on your business is a great way to show them how important they are. What should I ask my customers? First and foremost, your survey should have a purpose. Whether that is to garner customer feedback for operational improvements, collect testimonials, or ask customer preferences to guide your business direction, having a goal will help map out the specific questions you will need to ask. Make sure your questions are unbiased – don’t ask customers leading questions or provide options that don’t give them a chance to be honest. Your followers won’t answer if you break their trust. If your social media service supports it, watch for comments on the survey for questions you hadn’t considered, problems with the survey, or a trend of customers not understanding what you’re asking. Be aware, some business questions simply shouldn’t be left to your customers. If you need a new employee for the front of the house in your restaurant, that’s something to leave out of a survey. The same can be said about any internal issues, HR policies, or cash flow. Use good judgement when asking your customers questions, and always remember that the survey can be a window into your business. Surveys should be on brand, professional, and should never contain information that might cause a negative impression of your business. 1. Create a new post on your personal, business, or nonprofit page. 2. Click on the three dots on the far right, and select the “Poll” option. 3. Fill out the information for the poll, including your question and answer options. Keep both your questions and answers easy to understand. Consider adding photos or gifs to help illustrate the options for your customers. 4. Set a run duration for your poll, leaving enough time for customers to react. 1. Click to create a new post. 2. Click the icon with the three bars to select poll. 3. Fill out the information, including your question and some answer options. Remember to keep your questions and answers easy to understand. Twitter doesn’t offer image/gif options, but you can always add an emoji to spice things up. 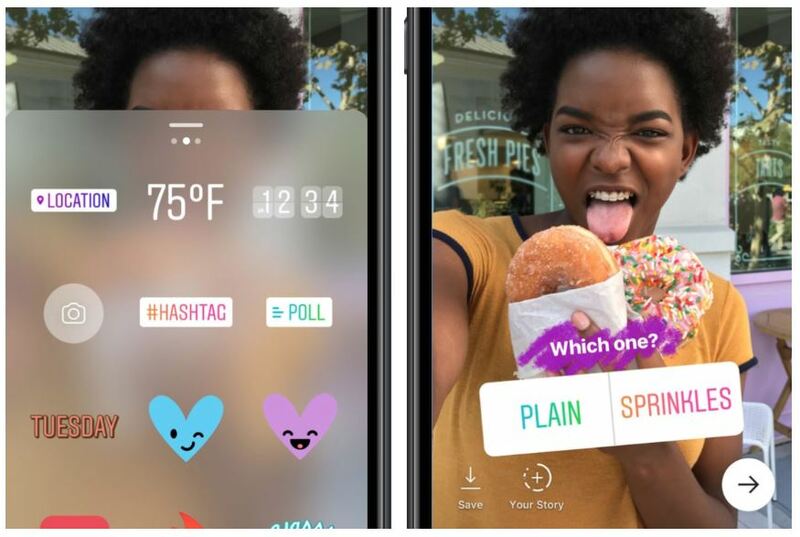 Instagram, the image-based social media channel, requires you to start with an image or video when posting a poll. The duration is automatically pre-set to 24 hours, so remember to adjust if you need your poll to run longer. 1. Upload or take your photo/video. 2. 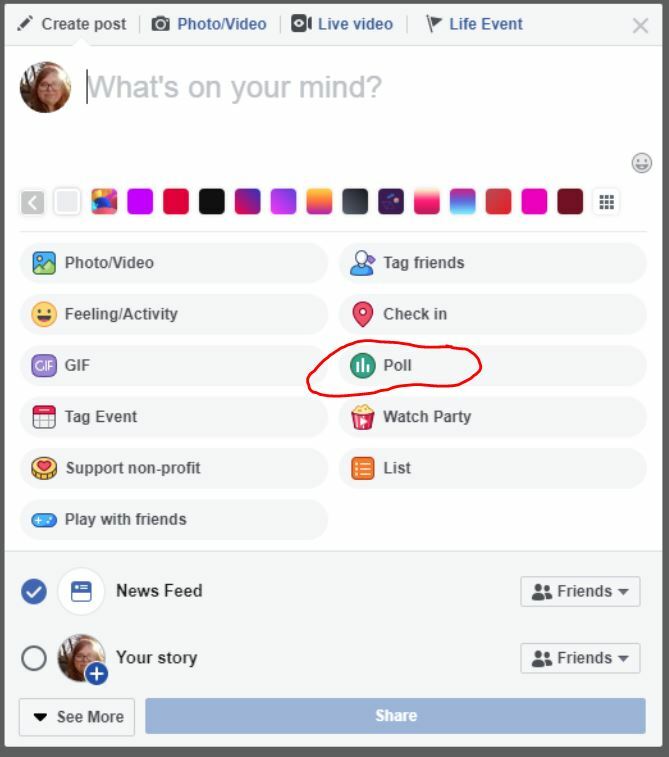 Select the “Poll” sticker, and place it anywhere on your photo/video. 3. Write a question and add your answer options. 4. Click “Send to” and select “Your story”. I posted my surveys – what now? Now that you have your surveys online, it’s time to wait for the results. For the most accurate results, wait until the end of the duration you selected for the polls. You can add as many, or as few, questions as you like, so be sure to ask your customers additional questions if you aren’t getting the answers you expect. If you feel your surveys or poll questions aren’t getting enough answers, consider re-sharing or cross-posting them to your other social channels. Don’t forget, you can also send out surveys directly to your email subscriber list too! If you’re still not seeing the results you want, it may be time to iterate your survey. Take a look at any related comments you received. Are customers confused about what you’re asking? Do they completely disagree with both options? Are they only willing to do a survey if they get a promotional item, such as a coupon, in return? That feedback helps you restructure your survey questions, and ask the question in a different way that gets you the answers you need. Once you have the results of your surveys, you can use the unique insights your customers have given you to improve the way you do business. 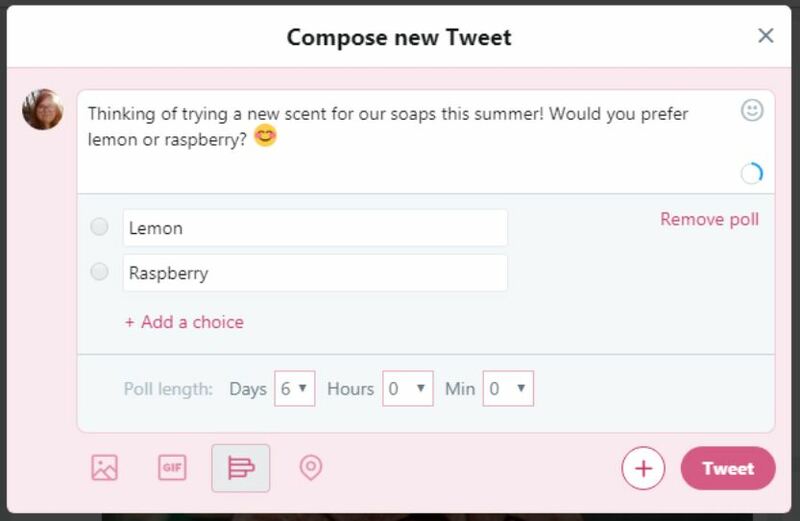 Remember, not everything should be asked of your customers – but if your customers tell you they want a raspberry lemon milkshake, and not a pecan elderflower spiced milkshake, you should probably listen! After all, more appealing options bring customers to your door, more frequently. Use surveys to help keep your brand approachable and interactive, and to show your customers how much you value their feedback. 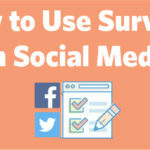 The post How to Use Surveys on Social Media appeared first on Constant Contact Blogs. This entry was posted on Thursday, March 28th, 2019 at 12:24 pm	and is filed under News & Updates. You can follow any responses to this entry through the RSS 2.0 feed. Both comments and pings are currently closed.